By providing comprehensive financial counseling and education, we will help consumers achieve financial independence through debt reduction, homeownership, and improved money management skills. 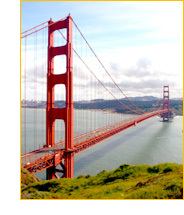 We provide housing education and counseling to individuals and families in person throughout the San Francisco Bay Area and via telephone nationwide. Our services are available to all members of the community. We also offer customized services to municipalities, non-profit groups and private corporations. Services are provided in English, Spanish, Mandarin, Cantonese, and Tagalog. In this time of economic downturn, homeownership opportunities have become even more of a challenge than they've been in the recent past- both in terms of attaining and retaining homeownership. We understand that challenge and can help consumers, whether directly or through partnerships with other organizations, customize a plan to meet their unique needs. We would like to express our appreciation to the following organizations who provided financial support for our housing counseling programs in 2009.